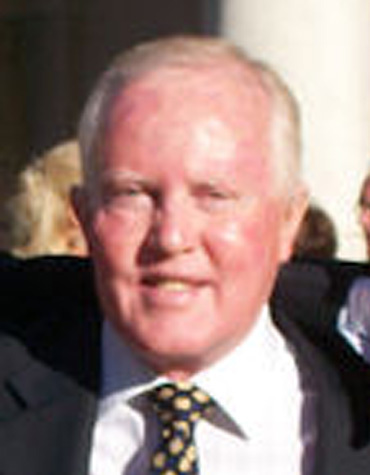 Mick McKeon founded McKeon Law in 1972 and retired from the practice of law in 2014. Mick is a 4th generation Montanan whose roots in this state go back to the 1870’s. He was born in Anaconda in 1946 where he attended local schools and from there attended the University of Notre Dame and the University of Montana Law School where he graduated with a Juris Doctorate degree in 1971. After graduation from the U of M Law, at the age of 25, Mick was elected to represent Deer Lodge, Philipsburg, Powell, and part of Missoula Counties as a delegate to Montana’s Constitutional Convention of 1972. Along with a coalition of delegates from Butte and Anaconda he fought to eliminate the legal strangle hold corporate interests had over state government for nearly 100 years. The New York Times called that convention a “prairie revolution.” (Click Here To View Montana’s Constitution). After serving the state at the Constitutional Convention, Mick began his practice of law in Anaconda, Montana where he engaged in general practice for nearly 20 years. He then moved his practice to Butte, Montana in 1991. Since then, Mick has practiced personal injury law, representing victims of negligence and corporate wrongdoing and has participated in some of the largest cases in the history of the state. In 1992 he obtained a verdict of 11.5 million in federal court along with his then partner Rick Anderson. That verdict stood as the largest verdict in the state for many years. Mick has also tried a large number of cases to jury verdict in Montana districts and all federal courts in the state. Mick’s efforts on behalf of injured victims have been recognized by many organizations and societies in the legal community. In 2010, Mick was invited to become a member of the International Academy of Trial Lawyers, a group which consists of 600 of the top lawyers in the world. He was rated as an American Super Lawyer, was continuously named one of the Best Lawyers in America, and an IATL top 100 Trial Lawyer. In 2005, Law Dragon named him one of Montana’s top 4 Plaintiff’s lawyers. Mick has been certified as a civil trial specialist by the National Board of Trial Advocacy and has the highest rating possible from Martin Dale-Hubble. Following retirement, Mick resides in Butte where he will occasionally comes into the office to lend his advice to Michael. In addition to Michael, Mick and his wife Carol, a Butte native, have another son, Matthew who graduated from Dartmouth College, University of Montana School of Law and runs his own law practice in Missoula. The four try to spend as much time together as possible and enjoy their time together at Flathead Lake.